Five years ago, when this blog was still young and enthusiastic (and updated twice a week rather than once a month), I read Maeve Brennan’s short novel The Visitor. It impressed me enough for me to buy her posthumous story collection The Rose Garden, which naturally languished somewhere ever after. Then I read her story ‘An Attack of Hunger’ in the Granta Book of the Irish Short Story (ed. Anne Enright), and practically knocked over children in my rush to get back to her other stories. As it turns out, ‘An Attack of Hunger’ wasn’t in The Rose Garden, but in her other posthumous collection The Springs of Affection. Brennan published two books of stories in her lifetime, but neither made so much as a paperback edition: almost all her fame, such as it is, has come too late. This, I suppose, is a softener for the unsurprising news that what makes these stories brilliant is not their cheerful, feelgood qualities. They have the ring of truth, and they hurt. The stories in The Springs of Affection are divided into three groups, each set describing the lives of one family. 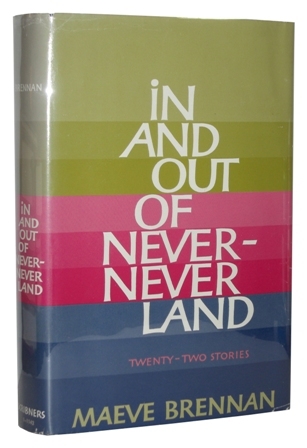 The first stories in the book – which were among the earliest Brennan published – are short and seemingly autobiographical of her childhood. The third group of stories is about Delia and Martin Bagot. The most interesting of these is the title story of the collection, the longest and last in the book, in which the Bagots are recently dead and Martin’s sister, Min, takes account of their lives. She, so dedicated to her family that she allowed them all to leave her, had never forgiven her brother for marrying, and does not seek to disguise her feelings on their lives. And now it was over for them, and they might just as well have controlled themselves, for all the good they had of it. And she, standing alone as always, had lived to sum them all up. It was a great satisfaction to see finality rising up like the sun. It is a splendidly splenetic, and desperately sad, performance. Min is of that class of people to whom safety lies in being still, whose altruism is sparsely coated selfishness, and whose exercise of control over her own life means that she is rudely buffeted by the routine activities of others. Happiness to her means others matching her sacrifice, so that when her brother married she felt “trapped, crushed in by people who were determined to see only the bright surface of the occasion. They could call it a wedding or anything they liked, but she knew it was a holocaust and she was the victim.” For Min, who has no pleasures of her own, contentment lies in the thin revenge of surviving those who found more joy in life than she did: which is happiness too, of a sort. Next to Min, Rose Derdon seems positively well-balanced. She and her family – husband Hubert, son John – are the focus of the six stories in the book which Maxwell describes as “clearly [Brennan’s] finest.” It’s hard to doubt that. They provide a life in episodes as convincing and moving as Connell’s Mrs Bridge, laying the character out from her childhood until after her death. However, I approached these stories cautiously: ‘An Attack of Hunger’, which I had liked so much as a standalone piece, is one of the Derdon stories. When I discovered that there were five more of them, I worried that its effect – such a whole and complete work – would be diluted. In fact it was intensified, the dubious pleasure doubled by Brennan’s willingness to shine a dark light on her character from so many directions. In the first Rose Derdon story, ‘A Young Girl Can Spoil Her Chances’, we get quickly to one of her defining events: the death of her father, two days before her tenth birthday, and her sense that that drop of time between these two major events has disrupted her ever since. “It was on that uneven fragment of time that Rose concentrated her attention, trying to guess its shape (not exactly like a day, and not exactly like a night) and trying to imagine what accident had caused it to slip away when it might have held firm until she and her father had gained the safe ground of her birthday.” It is affecting her still, forty-three years later, this “knowledge of the power of accident”, and the fallout – or aftershock – leads her to be too attentive to Hubert, and to encourage John to join the priesthood, where “he would be safe all his life.” But sending her only child away is the moment of crisis that fuels ‘An Attack of Hunger’, and brings cruel words from Hubert at Rose’s naivety in anticipating John’s return (“there would be no end to the amount they had to say to each other”), and in failing to understand that it was her smothering attention that drove him away to begin with. Properly speaking, the stories here are not just about Rose Derdon but about Hubert too, and the antagonism sparking between them. We see Rose through her own eyes but also through his, and this requires an equally delicate measure of Hubert’s character, which we get in the story ‘Family Walls’. Nothing in his life made sense. But once you had said that you had said it all. Hubert could hardly march out of his house and onto the main road and stop some stranger and say, “I understand nothing.” To do a thing like that would be – it would be the action of a madman. Not uncommonly for Irish women of her era and background, it is by the men in her life that Rose allows herself to be defined. She has not recovered from her father’s death – in this world, no one ever really recovers from anything – nor forgiven herself for letting John go. And she cannot remove herself from the one man who stays by her, and who will survive her. The last story, ‘The Drowned Man’, when Hubert remembers Rose, is breathtaking and heartbreaking. He goes through her possessions and discovers boxes full of bric-a-brac that “revealed a mind given over entirely to trivialities and makeshift, always makeshift, making do, making last, putting to use somehow, wasting nothing except her time and her life and his time and his life.” Brennan’s cruel brilliance is to make the reader simultaneously sympathise with Rose and Hubert, and to want to give them both a damned good shake. 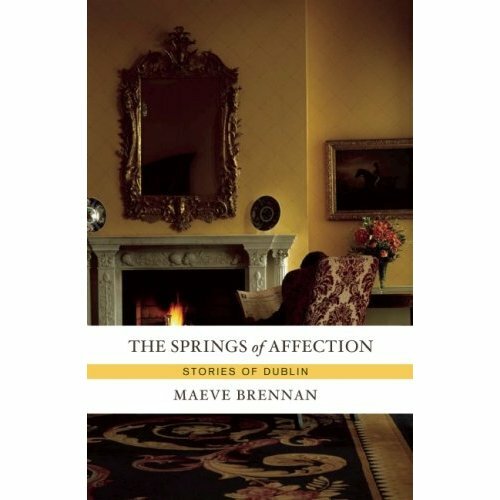 I read The Springs of Affection for the first time earlier this year and was blown away by Brennan’s writing. Your piece makes me want to dip back into them. And having read your review of The Visitor I might just ditch my vain attempts to reduce my piles of unread books and buy it. I’m rather glad for my purse that you’re only doing these things once a month now – I have a little pile of Self-recommended books accumulating. I agree, Clare. My pile of Self recommendations isn’t so little! 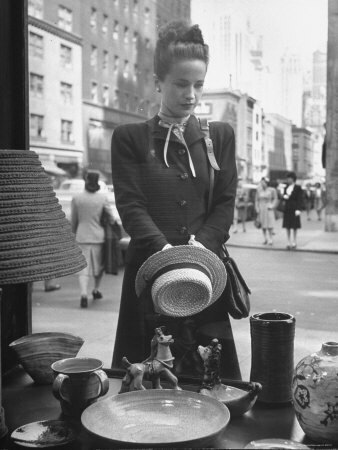 I also discovered Maeve Brennan a few years and quickly grabbed copies from Biblio.com (where I go for out of print books) and read The visitor, Rose Garden and Homesick at The New Yorker. I am now going to have to look for these two books that you mentioned. My grandmother’s maiden name was Brennan and I was also born in Dublin so I felt a connection. I really fell in love with Maeve’s style of writing. Apparently her mental illness and alcoholism began in the early 70s when she was still in her fifties, and by the 80s she was moving from transccient hotel to transcient hotel. She is a great writer. .